Have you ever turned to find a child gone? She was just there . . . Unable to breath, silently pleading, you call her name only to find . . . she is lost in her own world busily studying the dandelions in the grass. This is what happened to Megan, only Emma had vanished. That was two years ago and still Megan sees her daughter Emma everywhere. She’s the little girl standing in the supermarket, the child waiting for the swings at the playground, the girl with ice cream dripping down her face. But it’s never Emma . . . or is it? 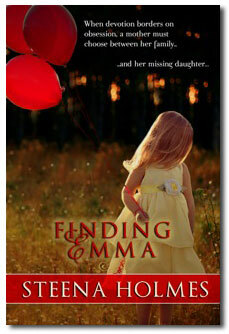 Finding Emma is a tribute to one mother’s devotion and unending hope of finding her daughter. Her family struggles to move on, her marriage is crumbling, but Megan can’t give up her search for Emma. When Megan takes a photo of a little girl with an elderly couple at the town fair, she believes it to be her missing daughter. Unable to let go, she sets in motion a sequence of events that could destroy both families’ lives. Finding Emma is available at in both paperback and Kindle Edition at Amazon. A portion of every book sale goes The Missing Children's Society of Canada—an organization dedicated to reuniting families. Visit http://www.mcsc.ca/ for more information. Book Giveaway Contest: We’re giving away a signed copy of Finding Emma plus a basket of candy! Please leave a comment at the end of this post to be entered in the random drawing. The giveaway contest closes this Thursday, June 7 at 11:59 PM PST. For an extra entry, link to this post on Twitter with the hashtag #FindingEmma, then come back and leave us a link to your tweet. We will announce the winner the following day—Friday, June 8. Good luck! WOW: You are a mom, work as a virtual assistant, and you write. In fact, you’ve written almost a dozen books! How do you manage to do all of that? Steena: Multiple pots of coffee, chocolate, a fabulous husband and children. ;) Did I mention the required coffee and chocolate? WOW: How did you begin your writing career? Steena: Telling this story always makes me smile. In 2005, I was working at an admin job where I had plenty of time on my hands. My husband forwarded me a contest for Word Alive publishing where the prize was a pub contract. I’m an avid reader and always wanted to write, so I thought why not. It took me 6 months to write the story. I had one person read it and then I sent it into the contest on the day it ended. I wasn’t really too worried about winning it—I was just so happy to have actually finished the story! A few months later I get a phone call that I was the winner. NO WAY! I was flabbergasted (ha, love that word!). I’ve since re-edited it and put a new name/cover on that story and self pubbed it a few months ago. It was “Once Upon a Dream” but it’s now called Chocolate Reality. WOW: That’s one of your contemporary romance novels! Now, several romance novels later (some of them quite steamy), this is your first contemporary fiction. What inspired Finding Emma? Steena: This is my ‘heart’ story. I actually wrote this story before all the steamy ones. I had Finding Emma out with agents and editors for almost 2 years, and I had a friend encourage me to try writing a steamy novella while I continued to wait. Emma was inspired by my daughters. There was a huge story in the news about a kidnapped girl who was recently found. My heart broke and I thought about how I would feel as that mother. Then I noticed that while my three girls were outside playing, one disappeared. My heart stopped. Thankfully she was only around the bush—out of my sight, but it was at that moment that Emma’s story started for me. WOW: A portion of the proceeds go to the Missing Children Society of Canada. Tell us a little about this organization. Steena: I’m so honored to be partnering with MCSC.ca. “Since 1986, the Missing Children Society of Canada has been reuniting missing children with their searching families through professional investigations, public awareness and family support programs. MCSC’s team of former police detectives and trained investigators work closely with law enforcement while conducting frontline, hands-on investigative and search activities.” I knew from the very beginning that I wanted this book to matter. And I knew that by myself there was little I could do, but my goal is that with proceeds from every book sold, together with my readers, we can make a difference. WOW: That’s wonderful—it feels good to support such a worthwhile organization! You’ve self-published several books now. How did you decide that self-publishing was the right way for you to get your work into the hands of your readers? Steena: The one thing I love about this publication journey is that there are so many options now available to authors. While Finding Emma was out with agents, I knew that I didn’t want to sit back and just wait. I’m not a patient person. So instead of getting frustrated despite the numerous agents interested in my story, I decided to just keep writing. I like to experiment with my stories. So I tried my hand at steamy romance—first under a pen name, then when I realized how fun this journey was, under my own name. 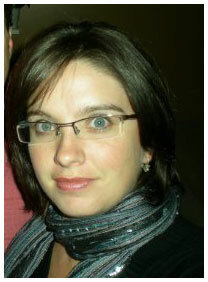 After e-publishing three stories and self-publishing eight, I knew that I was ready to publish Emma’s story on my own. I believe it was after I put up Hot for Cowboy and then Cabin Fever that I knew self publishing was the right journey for me--at this time. And the success with Finding Emma has only proved that! Within two weeks it made the bestseller list and maintained #1 for eight weeks! I’m so excited about this story! WOW: Plus, Finding Emma just won the National Indie Excellence Award for Fiction! Congratulations on that, Steena! In addition to writing, you create book covers! Finding Emma is one beautiful example of your work. How did you get involved with creating book covers? Steena: Call me crazy. I like to be busy and I like to be creative. Covers can be expensive for an indie author especially if you put out one novella a month—so I knew that I either needed to empty my pockets or learn how to do it myself. I’m the type who wants to know how to do something and then decide if it’s too much work for me. Fortunately, covers are fun. I had some friends who had me make theirs—willing to be guinea pigs per say until I got it right. Then I had someone recommend a NY author who wanted me to work on some covers for her . . . And here I am. I now design covers for The Author’s Red Room—http://www.authorsredroom.com/ and I enjoy it. WOW: So, a confessed chocoholic mom with three daughters—I’m betting there is a lot of baking going on! Do you have a favorite baking story to share? Steena: I’m so glad you asked! I’m actually writing Emma’s Secret and hope to have it out by September. There’s been such an overwhelming response from readers wanting to know more about . . . (once you read the book, you’ll understand . . . lol). As I write it I’ve been keeping readers up to date and asking for their input on scenes in the story. If you’d like to be involved, visit me on my FaceBook page at www.facebook.com/SteenaHolmes.Author. WOW: What fun! Thanks for the invitation. Speaking of fun, we have a wonderful tour planned so please invite your friends to join in the fun. We start with today’s contest . . . who can pass up a good book and a basket of candy, followed by a tour-long scavenger hunt! Details below! Have you ever thought of leaving a journal of letters for your child? What about sharing a journal with a child? Today we’re talking about letter writing and we’re also giving away an electronic copy of Finding Emma! What secrets about you lie waiting to be discovered? Find them through journaling! Also, this Maine Author treats us to her review of Finding Emma. Today Steena talks about taking the fear out of danger with kids and Linda treats us to her review of Finding Emma. Come on over! Get to know Steena Holmes! Sue is hosting an interview and giveaway today! Get the scoop on Finding Emma—Lisa shares her review! We all know they do but…just why do chocolate and writing go hand in hand? We’re giving away an eCopy of Finding Emma so come join the fun! Come join Steena for a talk about finding passion in your everyday life. Enter to win a copy of Finding Emma and read Mason Canyon’s review of Finding Emma! Join us for one of Jennifer’s fun book reviews! Enter to win a copy of Finding Emma. 1. For your first entry, just leave a comment on this post! Just leave Steena a comment or ask a question to be entered in the random drawing. 2. For an extra entry, link to this post on Twitter with the hashtag #FindingEmma then come back and leave us a link to your tweet. The giveaway contest closes Thursday, June 7 at 11:59 PM PST. We will announce the winner in the comments section of this post the following day—Friday, June 8, and if we have the winner's email from the comments section, we will also notify them via email. I'm so excited to be a part of this tour through Tattered Past. Steena is so inspiring and shows us all what we can do as writers if we just do it. Rita, thank you so much! I'm excited that you are excited :) Thank you for being such a tremendous support and for joining me on this journey! I just wanted to say that this is all really amazing--everything you are doing with this book and your career. Steena, you are very inspiring. Best of luck to you and congratulation on your Indie Book Award! Great interview! Sounds like a great read. I love books like this. Best of luck to the author. I would love to read this! It sounds like a very good Book!Thank you! Do you listen to music when you write and if so, what kind? I am a child advocate and I would love to read this book.There are so many people out there still looking for their child it is a heartbreaking experience. Please e-mail us at blogtour@wow-womenonwriting.com with your mailing address. We will also follow up by e-mail.